The Treasure Hunter achievement in the 2019 remake of Resident Evil 2 is one of the trickiest to find in the game. As it happens, finishing it will come hand-in-hand with completing the Dark Times, Dark Room record in your collection, which unlocks the 3D model of the Alligator boss. 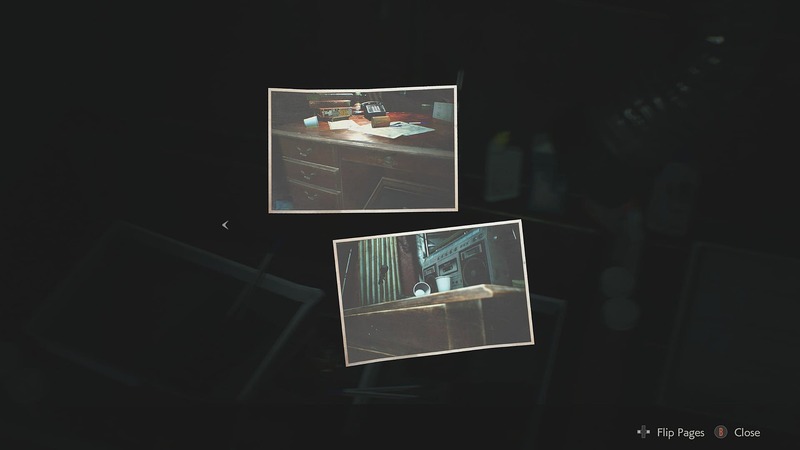 There are five rolls of film scattered throughout the game. One is exclusive to either character's second run, three are hidden in various places in the Raccoon City Police Department, and the fifth is easy to find, but difficult to develop. Once you have any roll of film, you can return to the Darkroom in the RPD's west wing to turn it into a file, which removes it from your inventory. You can find this inside locker 106 in the Secure Storage Room in the RPD's west wing. Input the locker's serial number into the broken keypad to unlock it. Film Roll 2: "3F Locker"
Once you have the diamond key from the Morgue, you can find this film behind the check-in counter at the RPD's Firing Range, in the basement. Film Roll 3: "Hiding Place"
Once you have the T-shaped tool from the Cable Car Platform, you can take a side passage off the lower waterway and take a lift up to the locked Workroom. Here, you'll find some ammo, a Hip Pouch, and this film. Film Roll 4: "Lion Statue"
On a 2nd Run, when you make it to the Lounge near the Library on the 2nd floor of the RPD, you can find a yellow tin box containing this film on the table near the door to the hallway. 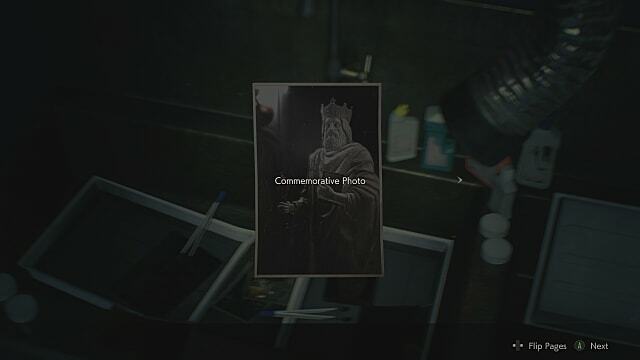 You may have found the "Hiding Place" film before now, but you may not have any idea how to get back to the RPD from the sewers in order to develop it. There is a way, but it's a significant detour. 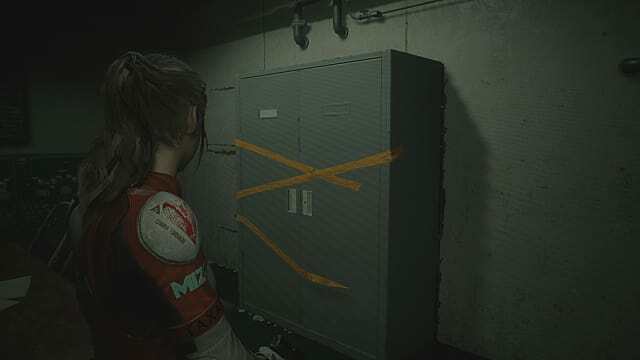 The good news about the detour is that it lets you explore the RPD at your leisure, as Mr. X is now entirely absent; the bad news is that it does add a few minutes of travel time, which makes it a tricky run if you're trying to speed through the game. It is, however, very much worth the trip, especially as Leon. From the sewers, unlock and enter the Workers' Break Room. 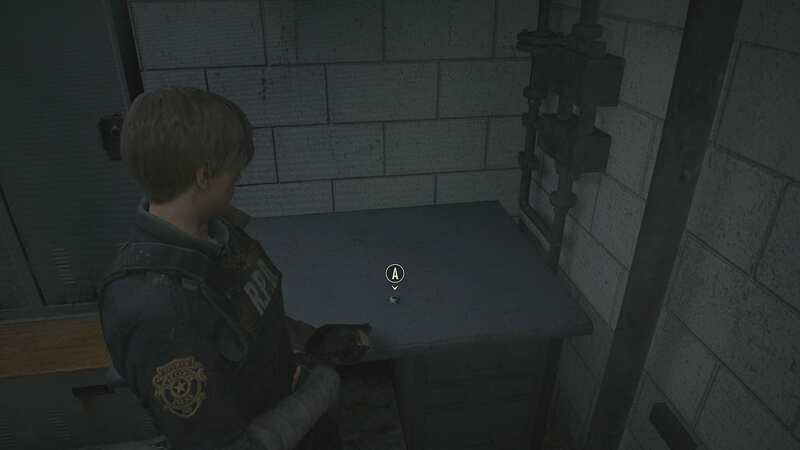 Here, you'll find some gunpowder, a box of pistol ammo, a file on the table... and this conspicuous storage cabinet. Inside, you'll find some .357 or Magnum ammo, as well as a bolted door that leads back into the tunnel system below the goddess statue. On a 1st Run, this also lets you return to a mod case that you might have spotted before now, but couldn't open at the time. 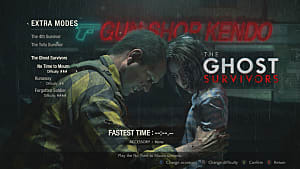 Using the STARS Badge on it unlocks it, letting you claim a new weapons mod. ...but if you're stuck, now I'll tell you where they are. The second photo brings you to the Press Room on the first floor, in the east wing, to a drawer to the left of the podium. 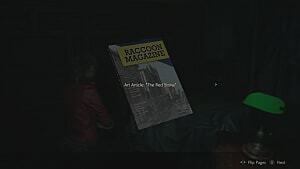 Here, you'll find a can of Fuel for Leon's Flamethrower, or a magazine of Needles for Claire's new Spark Shot. The first photo, however, is the reason we're here. 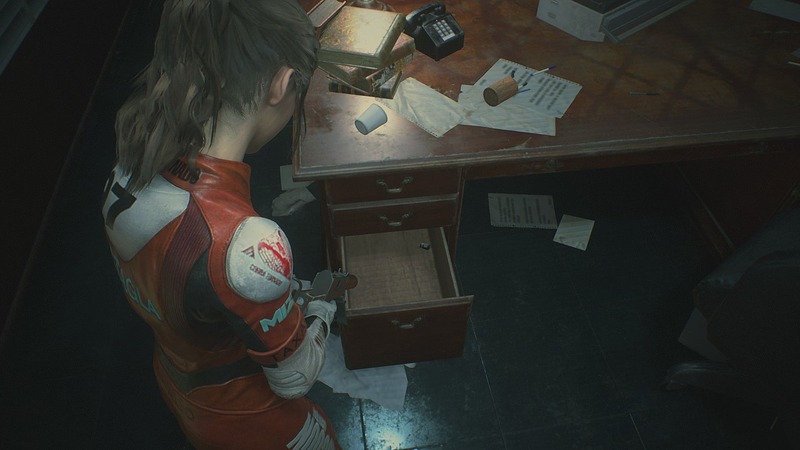 This brings you back to the STARS Office, where you can open the bottom drawer of Captain Wesker's desk to find a wooden box that contains another weapon mod, for Leon's Magnum or Claire's SMG. 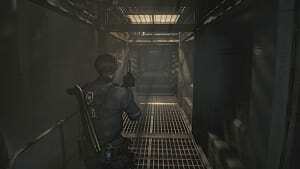 The Magnum mod is particularly useful, as it dramatically cuts the time it takes for Leon's reticule to narrow once he raises the gun, which in turn raises the weapon's damage potential. Taking the mod unlocks the Treasure Hunter achievement. 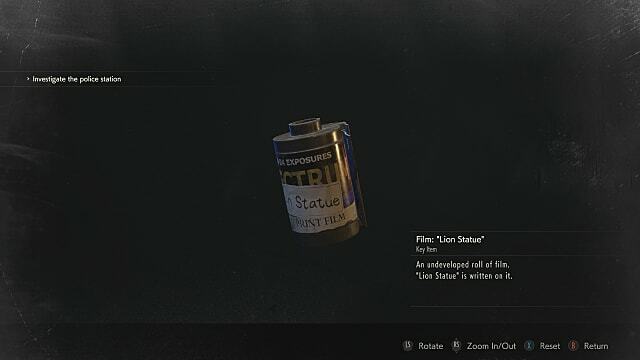 The game doesn't tell you it's here, with an interactive prompt or otherwise, but you may spot something else in the drawer that the weapon mod used to be in. Interact with it and you'll receive the final roll of film, "Rising Rookie." 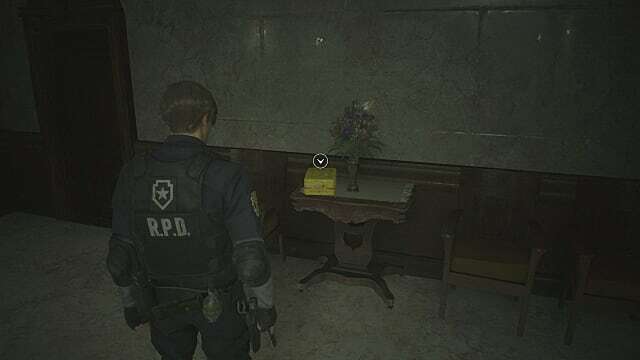 This is a reference to an infamous Easter egg from the original 1998 Resident Evil 2, where pressing X to inspect Wesker's desk 50 times would result in you receiving a new roll of film. This finishes off the Dark Times, Dark Room record. 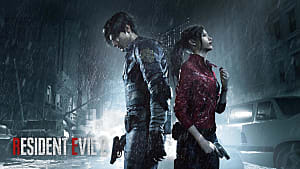 Check out our other Resident Evil 2 guides to help you make the most of your time in Raccoon City. 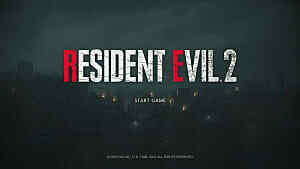 Be sure to see why we said Resident Evil 2 was worthwhile, just not to die for.